Wow can you believe yesterday's post? Thank you to everyone who schooled me... every day is another opportunity to learn something new. Anyway, I haven't had a "pretty picture" post in a while, so I thought I'd share some of my current favorites.. This is pretty much MY DREAM HOME. Living in the South, I've become obsessed with traditional, Southern homes. But this one has huge takes-up-the-entire-wall windows which is my dream come true. Pretty! I love all of it. Ooooo pinning a couple of those now! I love that house too! Gorgeous! You find the best pictures. I loved the post from yesterday. That is totally something i would do :) lol. Does anyone know where I can find the rug in the bathroom storage solution picture? I think I might love it. Oh my goodness, that first house is TO DIE FOR! I love Southern homes so much. LOVE that nursery! And it doesn't look too hard to recreate. Thanks for the lovely pictures! Okay, I LOVE THAT FIRST HOUSE! I am totally right there with ya on it! So cute! Also, love the blue kitchen - I think I've stumbled onto that picture before and saved it. I've heard that having a blue themed kitchen helps with peoples tendency to overeat. Basically, if you're eating somewhere warm - yellow, red, etc, it is more likely to make you feel like you should keep eating... whereas a cool kitchen (blue) makes you stop sooner. Not sure if that's urban myth or not but it really seems like there's some truth to it! Think of our holiday colors - that's when we overeat- and it's all warm colors! Love the pictures, such a pretty home :) I can't believe that fabric you purchased for $30 is actually super expensive (That is going to be one fancy shower curtain lol) I would love to find such a treasure. i just love all of these images. need to save them in my inspiration file. LOVE the coral colorway of la fiorentina for this dining room. LOVE. Absolutely love the bathroom organization and the nursery. Perfection. Bryn, this is gorgeous, my dream house too!! Especially the subway tile all the way to the ceiling. Bryn, this is gorgeous, my dream house too! Especially the subway tile all the way to the ceiling. On a side note, how do you join Pinterest? It seems everyone is using it ... I think I need to, too! Love the pictures, especially the ruffle curtains in the nursery. But what I love even more is the grace you demonstrated in being corrected! You are totally right -- we all learn new things every day. Don't be ashamed to admit it! 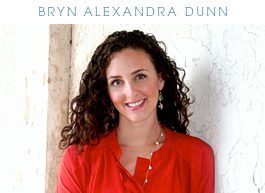 :) Love your blog, Bryn! Loving ALL of these pictures!! That house is gorgeous and definitely an inspiring space...LOVE your blog! These images are gorgeous, but the home...fabulous - love the style. Have a great weekend! !